Your material is highly melodic and with the lyrics in Finnish, it provides a unique emotional feel when it comes to tracks like Vielä. 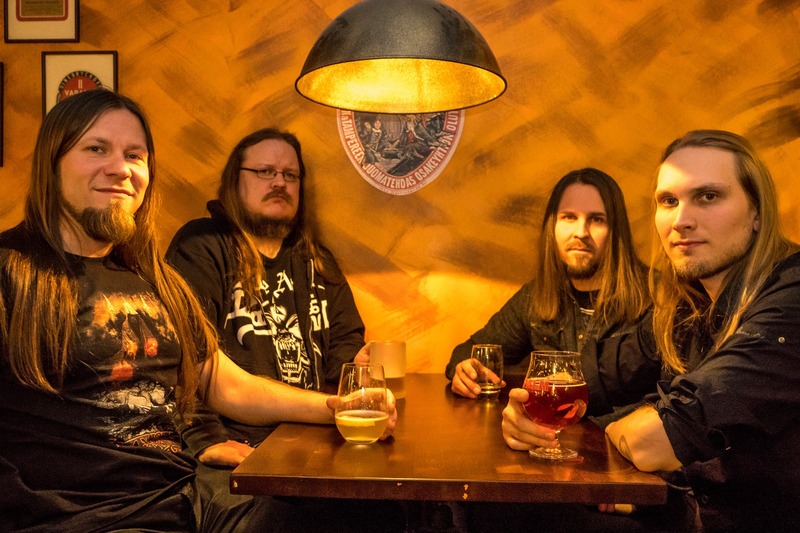 Being from Finland, a land that is no stranger to melodic metal, has it contributed to the sound you have establish yourself in? Finland definitely has a lot of impact in how we sound – mostly in melancholy that is typical for us Finns and the melodies that we want to think that are somehow coming mystically from our beautiful nature. We wanted to underline this aspect a bit more in Vielä song’s music video we did last year. But Finnish music is only one thing we listen to. We get our influences from music all over the world and lately maybe the most has come from bands like Tool, A Perfect Circle and Deftones. So a lot of new influences will be heard on songs we are working on! Working with various vocalists throughout the band’s existence, would you say it has given each song its own uniqueness and feeling when compared to one another? We feel that it definitely has. And we also feel privileged to have been able to utilize so many different kind of great voices in our music. Having a vocalist that fits the particular song optimally also really expands what we can do musically. Going a little further back in time, how did the band came together. How did the whole gang started to gain interest to create music? Who approach who to start the project? The very first steps of Alase reaches back years before the band was actually formed. 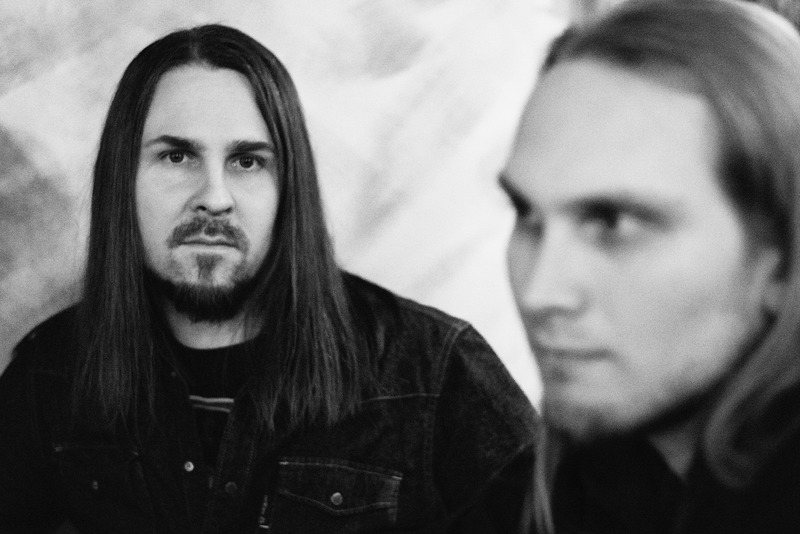 Guitarists Mikko and Janne had common musical history after playing together in a melodic death metal band called Chromatic Dark in Oulu (in northern Finland). During those years they found out that they shared common musical influences and developed good ways of composing music together. Some time after Janne had quit playing in Chromatic Dark, Mikko visited him in Espoo in southern Finland and shared the idea of creating music together again some day in the future. This became reality a few years later when they started to work with the first Alase song Sanaton syytös. At first the idea was to form a project for creating a few songs just for fun with no intentions of forming a real band. And we were very fortunate to find great musicians to work with us! The music under Alase name is beautifully orchestrated in both ambience and vocal approach. Is it difficult to capture the sound in studio or do you guys have a formula that works every time when it comes to recording a track? We are very digital band. Without digital tecnology there would not be Alase. We have used several tools how to get great guitar tones but after Mikko and Janne both bought Kemper Profiling Amps it has made the whole process with getting guitar tones that we need for every individual part much easier. Already in composing phase we can play with the tones that will be also in the final product and it helps us a lot. And if we need to change something with the tone at any point, it is also super easy! Vocals need to be mixed superb but before that they need to be recorded properly in a good enough environment with good equipment. After everything is recorded (in different locations) we send the tracks to Ari-Pekka Repo who has been mixing our songs since the day one. He knows what we want and working with him has been relaxed and we have been super happy with the results. After Ari-Pekka is done Markus Hirvonen (who also sings on several Alase songs) gives his golden mixing touch to the vocal tracks. So I would say that we have a formula that works well for us and gives us confident feeling that the result will sound good. Does any personal life experiences play a role when it comes to the lyrical content of the material? How much personal thoughts, events, and feelings would you say you managed to captured in the music? Our lyrics are written by Janne’s (guitarist and composer) life companion. It helps a lot that the lyricist lives under the same roof as the song writer who also does the vocal lines. In our process it varies a lot if the music comes before the text or the opposite. Anyways they try to reflect to each other as well as possible. Mainly lyrics have existed before the music as poems. And then the text will be edited when the vocal arrangements are put in place. All Alase lyrics come from lives lived. As your group like to release songs one by one, has that fueled the creative process for you to continue to create more material? Would you say it gives the songs more time to mature and become more appealing over time for the attention each track deserves? We have been releasing songs one by one, but during summer 2017 we started to work on our debut album called ”Vastaus” (The Answer in English). On this process with several songs in the pipeline the composition cycle has shortened, but we have still thought everything through carefully and tried not to hurry too much. And still we like to complete one song at a time because we believe that focusing on one thing at a time provides better results in our case. We are doing almost everything like the composing, demoing and recording in a remote manner and it takes plenty of time before everything is ready so working on one song at a time has felt like the most natural and efficient way for us. When releasing one song at a time factors like being happy with the final result and hearing nice feedback from people more often, it definitely gives good feeling to continue and drives the creativeness forward in that way. If you could persuade anyone to come by and give the material a good listen to, what key elements in your own words would you say would draw the fans to your sound? Alase’s music has several elements that can catch the interest of a new listener. The music includes deep atmospheric melodies, clean and distorted guitars and ambient elements combined with great singers of various singing styles. Especially material on the forthcoming “Vastaus” album will widen this formula more and bring in influences for example from post rock, alternative and progressive music styles. There will be more diversity and dynamics coming into our music. Singing in beautiful Finnish is also something that will definitely affect to the feeling a listener gets. For Finns it gives an extra level of depth what comes to the lyrical meanings and for foreigners Finnish is an exotic and rare language to listen to. There is going to be one song in English on the new album so we are not widening only the musical limits, but also the language.